Please join us in congratulating the December 2018 Teacher of the Month, Devon Lawrence! Devon always brings a positive attitude to the school and is an excellent Art Teacher. 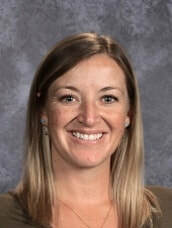 She’s been consistently recognized for her instructional excellence providing top-notch learning opportunities for all her students as she is always willing to offer individualized support to each and every one of her students. One student noted how she is “always encouraging every student to perform efficiently and successfully” while another highlighted her positive personality saying, “Mrs. Lawrence always brings happiness while thoroughly challenging us to be better.” Thank you, Devon, for everything you do for our students and all the wonderful attributes you bring to our community. Please join me in congratulating the November 2018 Teacher of the Month, Will White! This is Will’s first year at D’Evelyn and he has already made a tremendous impact helping kids and developing lasting relationships with his students. 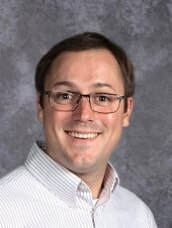 One nomination stated, “I have seen Mr. White be a positive influence around the school and especially with the kids in his classes. I attended the high school choir concert, and it was clear to see his energy coming through in his kids’ performances. The first song had him leading by example as he played the bongos and was happy to be moving with the beat. Keep up the great work Mr. White.” While another colleague specifically highlighted his dedication to helping kids on all fronts whether as a concert choir student or, more importantly, as a young adult in need of positive adult role models. Thank you, Will, for all your great work! We are very happy to have you as part of the D’Evelyn family. Congratulations to this October’s Teacher of the Month, Cindy Cannon! Cindy is in her fourth year as a math teacher at D’Evelyn and consistently makes our school a better place for students to learn. Her dedication to kids is seen daily as she always makes herself available not only to her students, but all kids at D’Evelyn. She is commended for being “an outstanding educator that brings energy and life to a difficult subject. 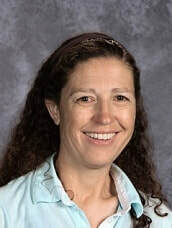 She has improved math instruction since the moment she arrived and is always looking for ways to help students more.” In addition, Cindy is described by her students as “having a beautiful soul” with a great personality who is fantastic to be around. The love she has for students and the love students have for her is apparent. Please join us in congratulating Cindy on being tremendously valued by her peers and students. Congratulations, Cindy and keep up the great work! Each month, the D’Evelyn administration will recognize a winner of the Teacher of the Month Award. The award recipients will be chosen based upon nominations from students, parents, and members of the D’Evelyn faculty and staff. Teachers may be nominated and subsequently recognized for Instructional Excellence, Peer Support, Community Service, Dedication, or Leadership.